It is not strickly required to read, theoretical part. The main result of it is provided here. But, If you do read theoretical part, you can skip examples, provided here. The last example illustrate how to implement mixin in Python. Theoretically, not for any inheritance graph $C^3$ Linearization Algorithm can be linearized. In practice, it is rarely happen, and if it did, Python will emit en Error. Another name of this algorithm is MRO - Method Resolution Order. That's right, the Diamond problem can be solved (practically). We can use inheritance where both object has the state, and this will not cause any problem. No more virtual inheritance (as C++ did), or multiple interface inheritance (as Java did). Note: We will examine below only so called new-style classes. All classes in Python 3 are new style. Everything listed here holds in Python 2 if there no classic style class involve in inheritance graph. Note: In Python order in which classes appear in inheritance tuple is matter. That's it, if we have $class X(A,B)$, and in X there is call to super(), Python will check class A first, and then, may be after checking in some other classes (if appropriate method will not be found), it will eventually check in class B.
a) Children precede their parents. b) If a class inherits from multiple classes, they are kept in the order specified in the tuple of the base class. 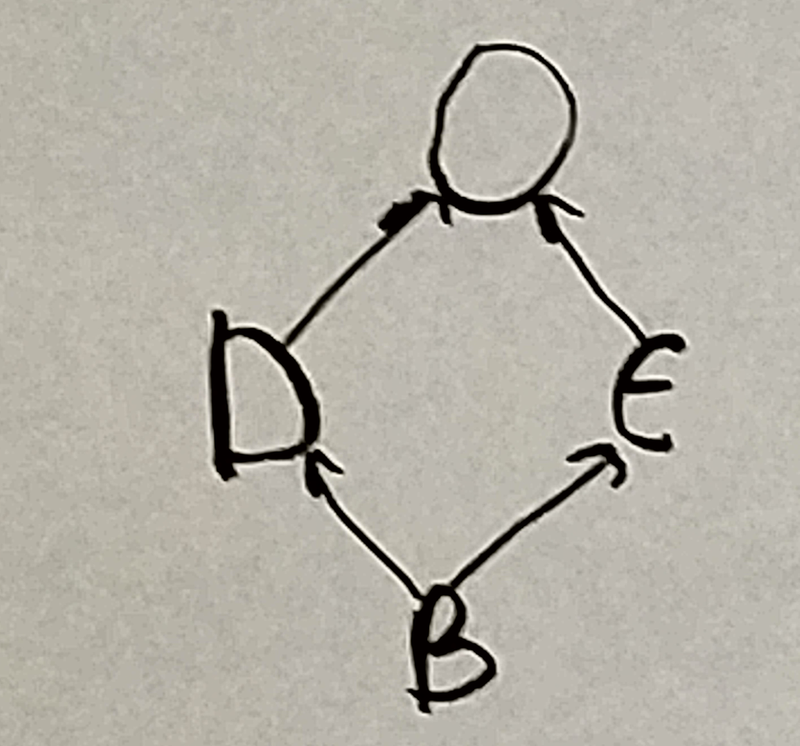 * Let G be some inheritance graph with at least one node. Let chose some node $A_1$. Let MRO of $A_1$ be $L[A_1]. If we define new class $B(A_1, A_2...A_n)$, that is class that inherits from n classes, then MRO of B will be $L[B]=B+A_1+...$. This means that if we have some general form class $B(A_1, A_2...A_n)$ the MRO of it will be always B, than first class in the inheritance tuple. In particular if inherit from single class, case $n=1$, the MRO will starts from B and than (single) parent class $A_1$. More over, when $n=2$ the MRO will starts from B and then first class in the inheritance tuple $A_1$. There is no guarantee that the next class will be $A_2$, actually it can be it's sub-class, see Example 2 below. * You can always ask $X.__mro__$ and avoid explicit computing. Let's look on another example. Python have standard library class Dict. There is also OrderDict that extends Dict. Python have also Counter class. Counter inherit from Dict. It means, that it count have many time specific character appear in the string, but the order that it will print out the result is unspecified. It appears, that we can actually change the "inheritance chain" of the Counter, it will appeared as we dynamically change the immediate parent of Counter from Dict to OrderDict. More precisely, we can change MRO of Counter. As you can see in the picture, we have diamond inheritance problem here. We will not calculate full MRO, but we will put enough constaint on it to establish that first object in the MRO of OrderedCounter is Counter and OrderDict goes before Dict. I. MRO of OrderedCounter starts from OrderCounter, Counter. II. object has to be last in MRO. III. OrderDict goes before Dict in MRO of OrderedCounter. I. By proposition (0.0), MRO of OrderedCounter starts from OrderCounter. OrderCounter has 2 direct children Counter and OrderDict. By a) "children precede their parents" The first element in MRO has to be Counter or OrderDict. 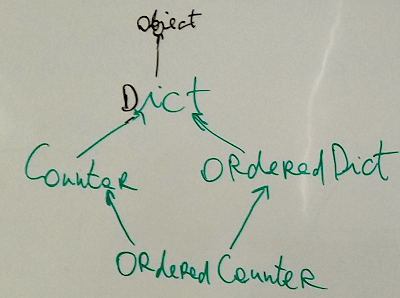 From b) "order specified in the inheritance tuple preserves" follows that Counter has to go before OrderDict, because they list in the inheritance tuple of OrderCounter. So, Counter has to first element in MRO. On one side, Dict is listed before OrderDict, on other side, we have OrderDict(Dict) and by a) "Children precede their parents" it follows that Dict should be listed before OrderDict. Contradiction. and OrderDict is called before Dict in MRO. The exact MRO algorithm is provided in theortical part. In practice, the best chance, you will never used it. First of all, you can ask the Python do it for you. $X.__mro__$ will give you result of applying Method Resolution Order algorithm. If MRO for your inheritance graph can't be computed Python will emit an Error. But, what is more important, in order to reason about MRO it is sufficient to know about properties listed above. We just did it in 2 examples above. Raymond Hettinger claims, that using (cooperative) multiple inheritance in Python make use of Dependecy Injection unnecessary. You can watch his video here "Super considered super!" https://www.youtube.com/watch?v=EiOglTERPEo and read his blogpost here https://rhettinger.wordpress.com/2011/05/26/super-considered-super/ (Python 3 syntax http://code.activestate.com/recipes/577720-how-to-use-super-effectively/). Note, however, he use incorrect definition of inheritance. Code re-use is the feature of mixin. Multiple inheritance in Python is cooperative. 1) Let’s first look at strategies for getting the caller’s arguments to match the signature of the called method. This is a little more challenging than traditional method calls where the callee is known in advance. With super(), the callee is not known at the time a class is written (because a subclass written later may introduce new classes into the MRO [for example, see example 2 above). 2) Having looked at strategies for getting the caller/callee argument patterns to match, let’s now look at how to make sure the target method exists. ...We know that object has an __init__() method and that object is always the last class in the MRO chain, so any sequence of calls to super().__init__() is guaranteed to end with a call to object.__init__() method. In other words, we’re guaranteed that the target of the super() call is guaranteed to exist and won’t fail with an AttributeError. For cases where object doesn’t have the method of interest (a draw() method for example), we need to write a root class that is guaranteed to be called before object. The responsibility of the root class is simply to eat the method call without making a forwarding call using super(). Root.draw() can also employ defensive programming using an assertion to ensure it isn’t masking some other draw() method later in the chain. This could happen if a subclass erroneously incorporates a class that has a draw() method but doesn’t inherit from Root. 3) The techniques shown above assure that super() calls a method that is known to exist and that the signature will be correct; however, we’re still relying on super() being called at each step so that the chain of delegation continues unbroken. This is easy to achieve if we’re designing the classes cooperatively – just add a super() call to every method in the chain. 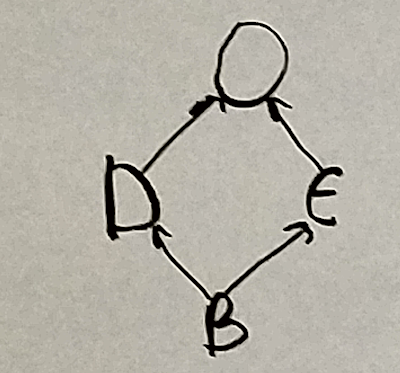 The three techniques listed above provide the means to design cooperative classes that can be composed or reordered by subclasses. Occasionally, a subclass may want to use cooperative multiple inheritance techniques with a third-party class that wasn’t designed for it (perhaps its method of interest doesn’t use super() or perhaps the class doesn’t inherit from the root class). This situation is easily remedied by creating an adapter class that plays by the rules. This example shows use of (cooperative) multiple inheritance to provide mixin. See separate article on what is mixin https://www.toalexsmail.com/2019/03/mixin-diamond-problem-inheritance.html.